Treason by Stupidity ... Hillary and her vulnerable server and Feinstein and her driver. Think it would cause a political firestorm? Well, this week we learned that Sen. Diane Feinnstein, D-Calif., had a Chinese spy on her staff who worked for her for 20 years, who was listed as an "office director" on payroll records and served as her driver when she was in San Francisco, all while reporting to China's Ministry of State Security though China's San Francisco Consulate. The reaction of the mainstream media? Barely a peep. ... But Trump MAY have known in advance about a meeting where his team TURNED DOWN Russian dirt (unlike Hillary and the FBI who paid for it). Miss 'Daisey' Feinstine is clueless. She flew a million miles. And Obama knew of it and did nothing and then stared into a TV camera and lied about it. A lot of his smidgeons are adding up to treason. Never excuse as stupidity what can be attributed to simple bribery. These are Heinlein's "Crazy Years". 2. Miss 'Daisey' Feinstine is clueless. 3. She flew a million miles. Hillary Clinton’s health has been scrutinized, but now hackers have emails which describe a new problem that is plaguing Hillary. She is known to have a drinking problem. As shocking as this may be, some of Hillary’s inner circle is admitting it’s true. 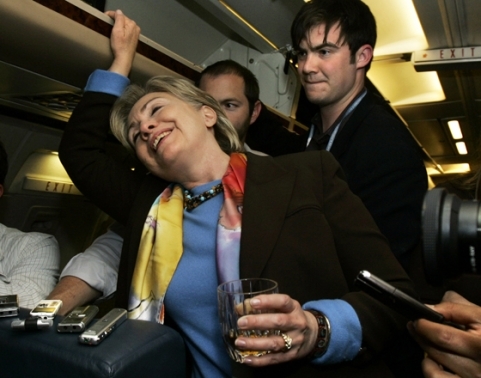 Even one world leader has commented on Hillary drunk texting him and saying that her drinking problem is nothing new. Headlines from a London Telegraph blog post asked whether she was “becoming an embarrassment.” Then, President Obama joked that Hillary “won’t stop drunk-texting me from Cartagena.” Apparently, no one in the Administration much cared that Hillary was cracking up before their very eyes. What came first, the health problems or the drinking? It’s hard to know. 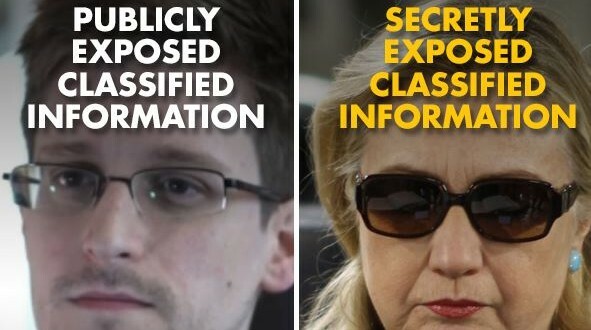 All we do know is that it was an insider secret that she drank heavily and that she started falling regularly in 2009.
home server was to hide criminal conduct and even the sale and transmission of classified info to America's enemies- in other words Treason. This does not even consider the 40-80 demoRat House Members who aided & abetted the Awan brothers spy network. on Benghazi etc, and nothing would be found. 8. And Obama knew of it and did nothing and then stared into a TV camera and lied about it. I am still waiting for a lefty here having the vapors over a Trump "lie" about some irrelevant tidbit explain that away. 10. A lot of his smidgeons are adding up to treason. exaggeration,etc from Trump is the end of the world. take anything from Russians, when CNN, MSNBC etc all know that Hillary paid millions for Russian dirt and funneled it into the FBI, DOJ to effect the election and Trump's administration and never mention it! 6. Never excuse as stupidity what can be attributed to simple bribery. Feinstein was bought and paid for. 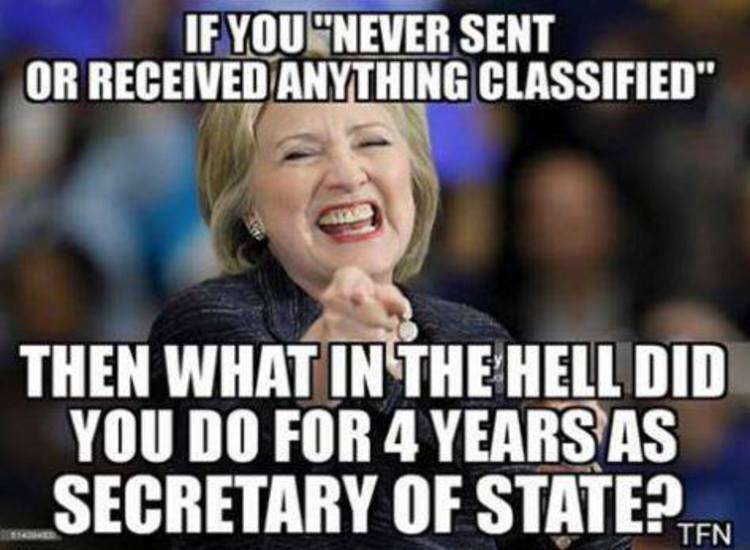 She is a Clinton era corruptocrat. Clinton sold secrets for cash and so did she. Billy boy got a half million from a Kremlin connected Russian Bank for ONE SPEECH! Must have been a helluva speech, right? Something like "My wife the Secretary of State will have more flexiblity once the payment clears our bank"
If anyone is a commie traitor, it's Feinstein. One jailed, One a Celebrated candidate for President! 16. These are Heinlein's "Crazy Years". We're just along for the ride. But ... Manaford avoided taxes 10 years ago.